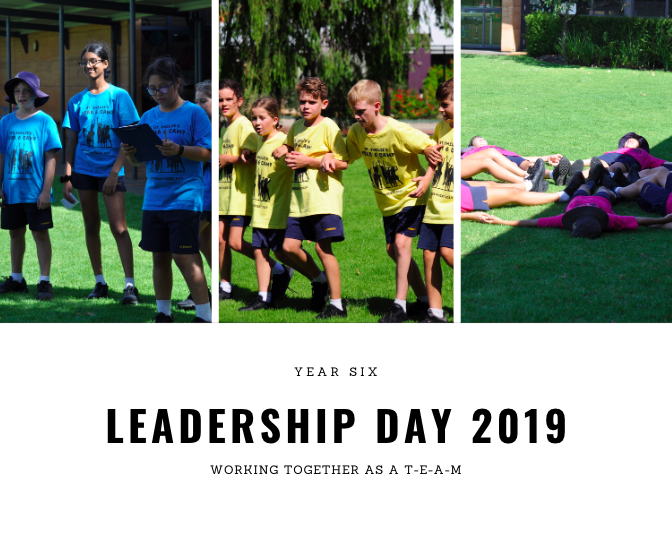 LEADERSHIP DAY 2019 POST For LEADERSHIP DAY we took part in 4 activities to understand what it means to be a good leader and to develop our skills and talents to be the BEST LEADERS we can be! For Mr Munro’s activity we were put in partners. One person had the blindfold, and the other person didn’t. The person with the blindfold had to listen and place their trust in the person who was not blindfolded to hit the golf ball into the cone. 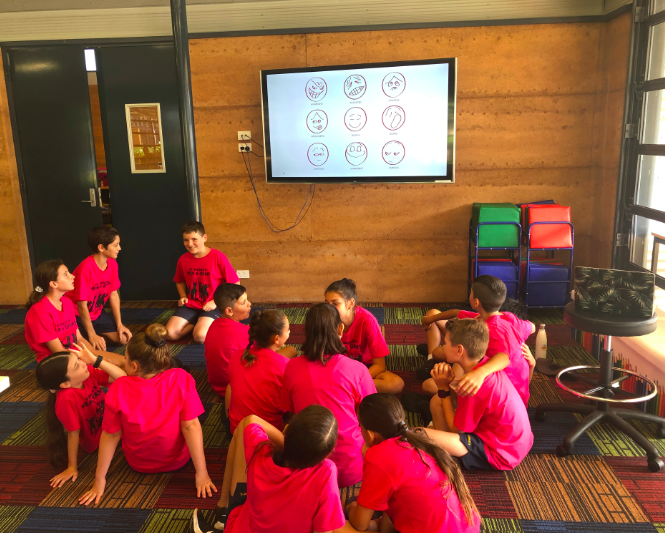 Together we created an acrostic poem, on the words and phrases of leadership, responsibility, resilience, or bounce back. 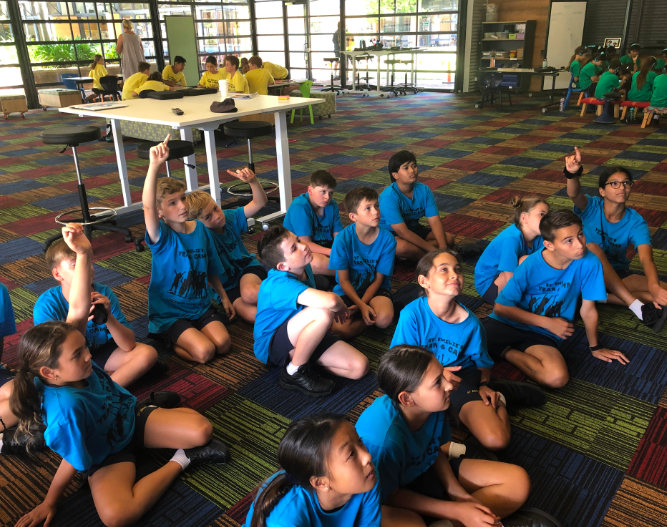 In this activity we talked about different emotions and feelings we may have already experienced or might experience in the future. 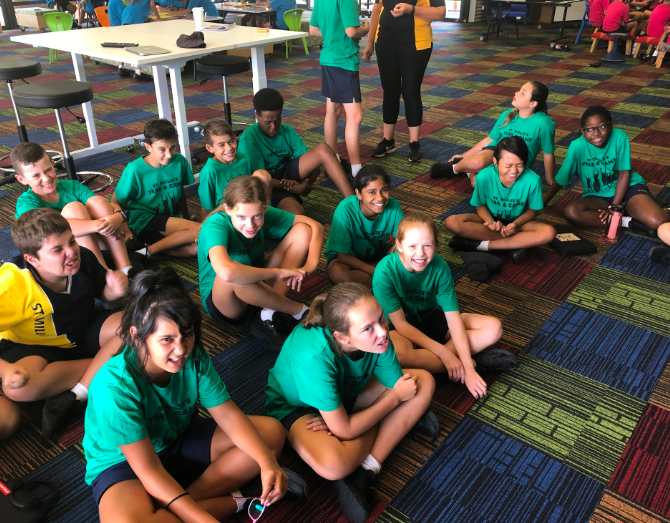 We discussed some scenarios and how to respond appropriately whilst protecting our own feelings and the feelings of the other people involved. 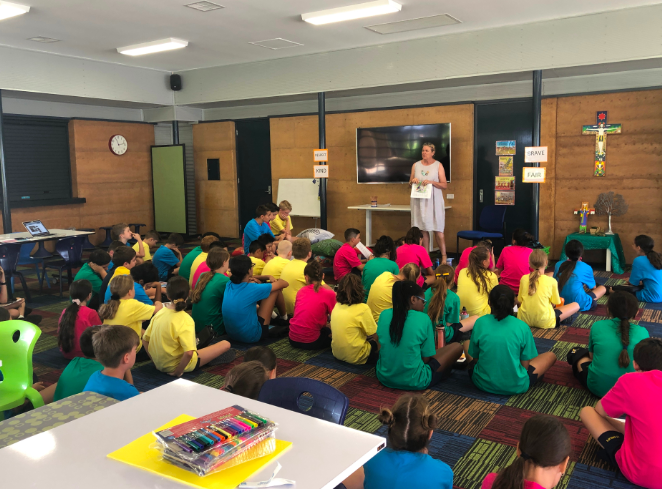 In this story reflection session we listened to the audiobook of Wilma Jean The Worry Machine, and Mrs Ryan talked to us about what is okay to worry about, and what we shouldn’t worry about. We can control our worries and if we can’t then we shouldn’t let our worries get the better of us. We ended the day by playing a game of AMAZING RACE – leadership version. 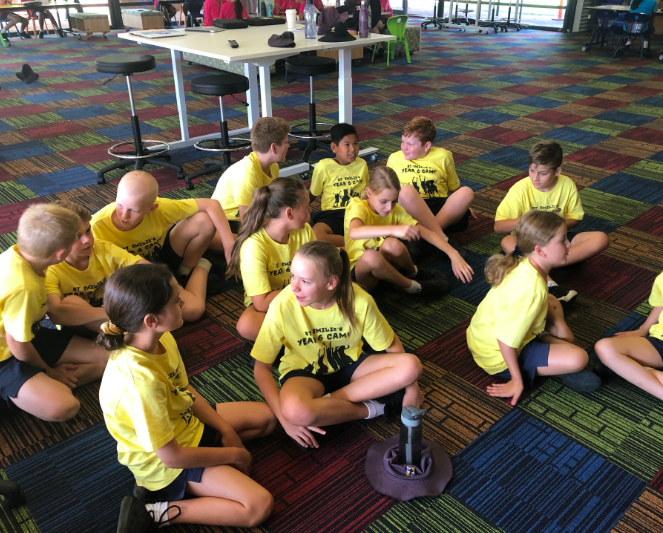 We had many different tasks to complete in order to get the next clue. We had to work together as a team if we wanted to succeed and move onto the next level. It was a really great day!